For the last five years, industry analysts have predicted that cloud will kill the datacenter. So why are colocation revenues continuing to climb at about 10% a year? Why did Equinix, the largest datacenter provider in the world, see revenues climb 13% YOY in the fourth quarter of 2015? The answer is that as enterprises begin to move “easy” workloads to AWS, they want to move not-ready workloads to a managed environment outside their internal data centers. 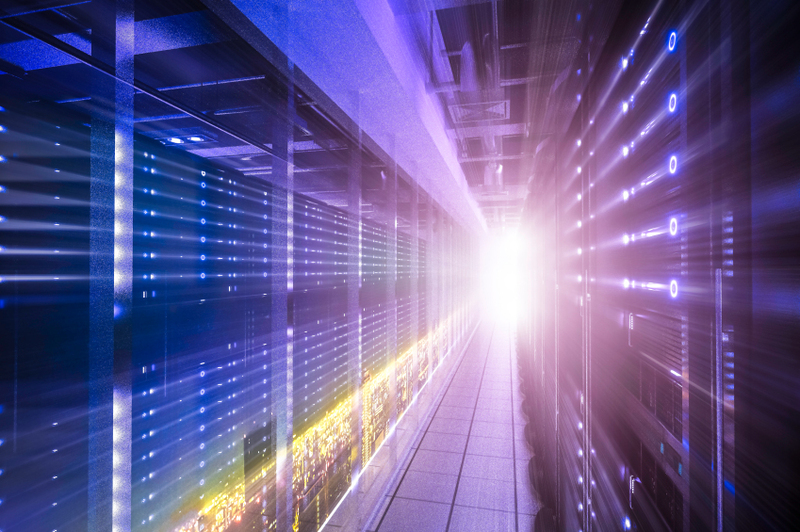 Somewhat paradoxically, colocation is rising in popularity precisely because enterprises want cloud; it fits well into a hybrid cloud plan, helps enterprises consolidate datacenters, and helps transition people and processes to a shared responsibility model. Enterprises want out of the datacenter business…eventually. Just 25% of enterprises in North America will build a new datacenter when they run out of space in existing properties, according to a report by 451 Research. A whopping 76% will choose colocation or cloud, followed by 62% who will consolidate existing datacenters. By 2018, 50% of all server racks in North America will be located at cloud and colocation data centers, up from 40% today. They will continue to invest in improving existing datacenters, but seem unwilling to guesstimate their computing needs twenty years into the future or spend hundreds of millions of dollars on non-differentiating technology. At a high level, enterprises undergoing digital transformation (that is, 92% of enterprises in North America) are looking to eliminate institutionalized friction — processes and transactions that rely on sequential processes and “functional fiefdoms”. When you run a datacenter, it is hard to escape the hard facts of provisioning speed (slow), absolute control (technicians in the building) and sequential processes (hardware install is more or less sequential by nature). Colocation may improve power efficiency and reduce bandwidth costs, but in the end, the colocation vs. in-house datacenter conversation is not a technology decision — it is a people and process decision. Datacenters are simply inconvenient and inefficient people and process centers. Colocation takes one step towards frictionless IT by removing the slowdowns associated with provisioning services like AC, security, etc. But they still need their own staff to replace cores, add new hardware, and coordinate with line of business teams. What enterprises really want is a cloud responsibility model in the datacenter: the ability to provision new compute resources abstractly, with minimal process or delay. They actually want managed colocation so that someone with better processes and scale can do that work faster, invisibly. Although colocation is normally a people and process decision, there is an important technology benefit of colocation: super-fast private connections to the public cloud. It is no accident that Equinix’s fastest growing revenue segment is private connections to AWS. Enterprises also want low-latency connections to the public cloud for a number of reasons. First and most urgently, they want to build hybrid environments where data is transmitted quickly and cheaply between dedicated hardware and the cloud. AWS Direct Connect can cut data transfer fees by two to ten times and result in more reliable connections than other forms of connection between a datacenter and AWS. It is also more secure than connecting to AWS over the internet. But again, the hardest part of transitioning to the cloud is not refactoring applications or preparing data pipelines, but preparing new service definitions and security / compliance models. Managed colocation encourages CSOs and security teams to figure out a shared security, compliance, and management model now, where services are divided between a 3rd party platform (the colocation provider), a managed service provider, and internal teams. This model is similar in most ways to a cloud security model, so when these workloads are transferred to the cloud in the future, transferring service definitions will be relatively simple. The value of managed colocation is magnified even further when an enterprise uses the same managed service team for colocation and cloud. First, the enterprise gets a single contract, a single set of SLAs, and a single set of security and compliance models. Documentation, auditing, tracking, and ticketing can occur in a single interface or can be divided among lines of business with shared resources. Enterprises can also use a single service provider for hybrid applications; the team that reboots your Oracle RAC database communicates directly with the team that must monitor your AWS account for unexpected ramifications of the reboot. Service levels are application-centric and team-centric, not infrastructure-centric. In the entire field of ISVs, consultants, and system integrators that enterprises could choose from, MSPs are uniquely positioned to remove some of the complexity of a cloud process migration. Lastly, a managed service provider that have a long history of “traditional” system management plus AWS expertise is quite simply a great tool to have in your backpocket. They can be consulted when migrations get tough, as they understand the nitty-gritty of traditional systems, the cloud, and how traditional applications behave on the cloud. The reasons enterprises are migrating to the cloud are well-understood. But we are witnessing an unexpected but logical corollary: the rise of the abstract management layer, and hence managed colocation. If cloud is the future, managed colocation is the transitional architecture that will help enterprises reach these long-term cloud goals. Logicworks is an enterprise cloud automation and managed services provider with 22+ years of experience transforming enterprise IT. Contact us to learn more about our managed cloud and colocation solutions.